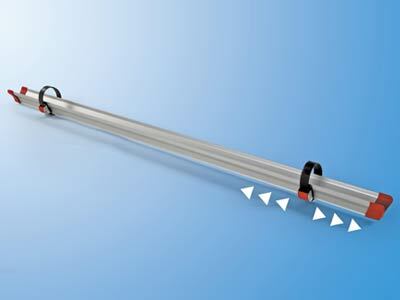 Fiamma Rail Quick 140 in red (main picture shows blue) designed specifically for the Carry-Bike L80 Laika motorhome. The traditional and sturdy additional rail with reinforced double thick base. 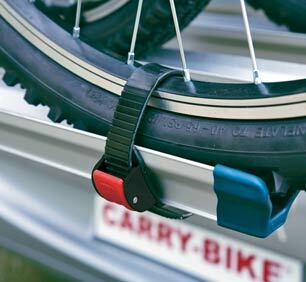 Easy to install on the Carry-Bike thanks to the pre-drilled holes on the rail support base. Supplied with two standard sliding Quick-Safe straps. Suitable for Carry-Bike L80 Laika. Installation: Supplied with mounting bolts. 2x Quick Safe adjustable wheel straps provided.